Whether it's a counterterrorism-unit build up or mobile units for neighborhood “safety” and disorder control, New Yorkers say NO to Department of Homeland Security-funded NYPD militarization! 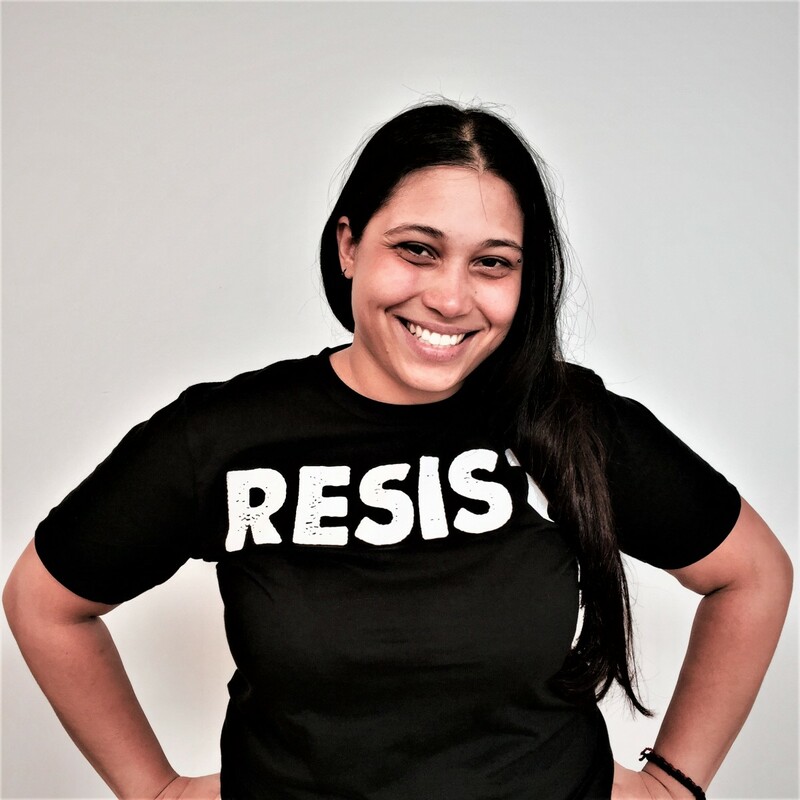 The War Resisters League's campaign, "Demilitarize Health and Security," condemns the unveiling of a DHS-funded 900-officer counterterrorism and special operations overhaul by New York Police Commissioner Bill Bratton. According to Bratton, in amendments to his original statements on January 29th, both the 350-member counterterrorist auxiliary unit - equipped with "long rifles and machine guns" designed for "disorder control and counterterrorism protection capabilities" - and the 500-officer special-operations unit Strategic Response Group (SRG) mandated to monitor protests and “sudden rises in crime” will be rolled out in the Summer of 2015. Bratton’s conflation of “terrorism issues, crime issues and demonstrations issues” will only further criminalize our communities, violate our right to protest, and curtail our ability to survive and thrive. 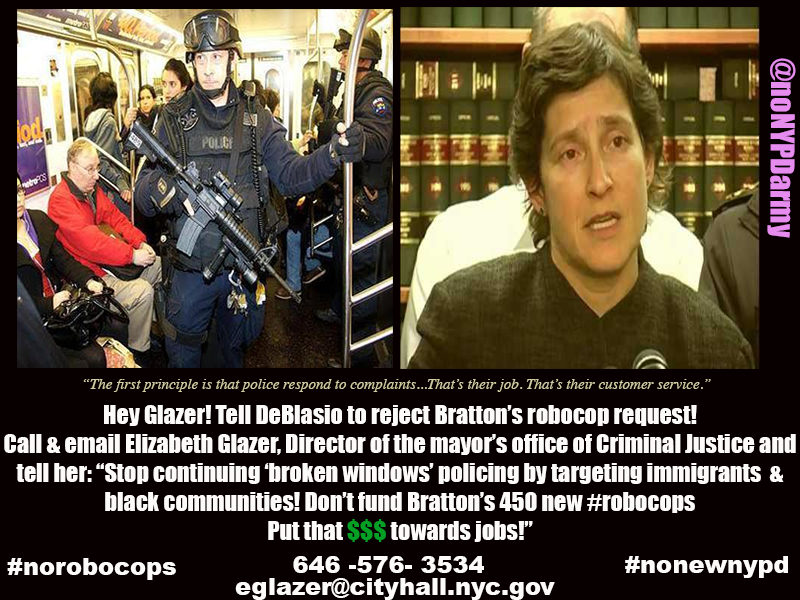 We demand an end to the build up of Bratton’s army because militarization is a threat to our safety! We urge Mayor de Blasio to stand with New Yorkers and call for the defunding of Bratton’s two newly proposed units. Together, we can create real solutions for community safety and wellness without tanks and assault rifles! Read our coalition's statement here. 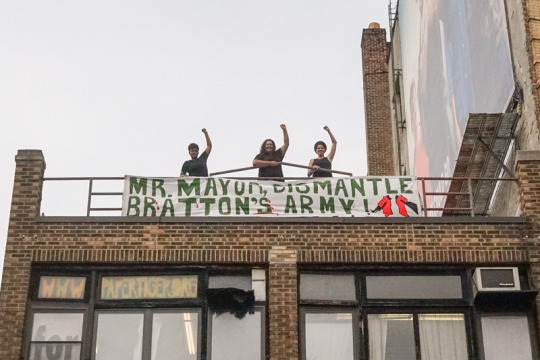 Activists from War Resisters League have a message for Mayor de Blasio and NYPD Commissioner Bratton: “Mr. 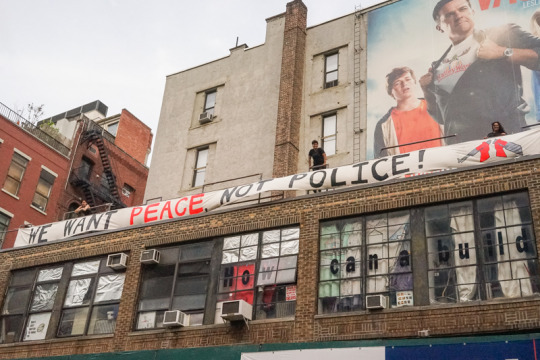 Mayor, Dismantle Bratton’s Army!” and “We Want Peace, Not Police!”, hung from the top of 339 Lafayette St for the city to see! 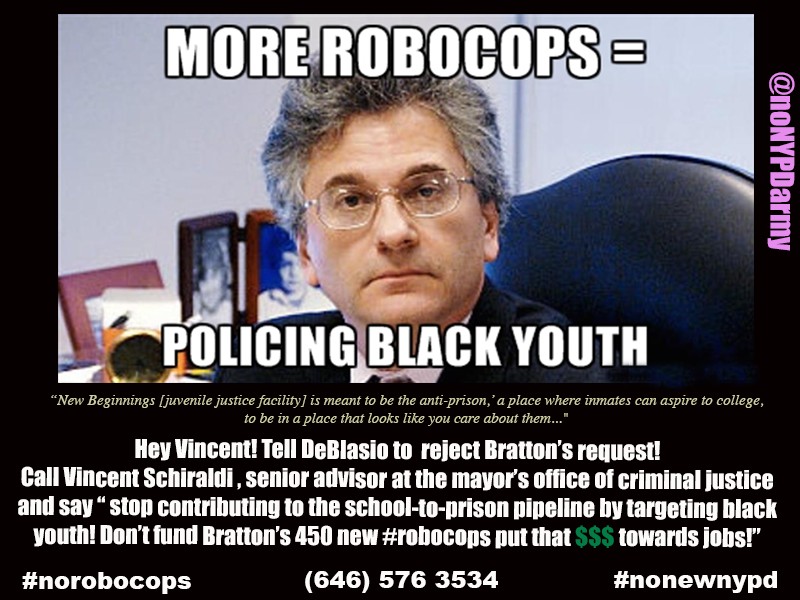 Update: In June 2015, the Dismantle Bratton's Army Coalition, made of 20 community groups from New York mailed Mayor deBlasio the petition with the list of signers and request a meeting. Upon no answer, we organized a call in day to the Mayor's office. Despite our efforts, the NYPD received 1000 new NYPD officers, including 500 counter-terrorism specific officers. 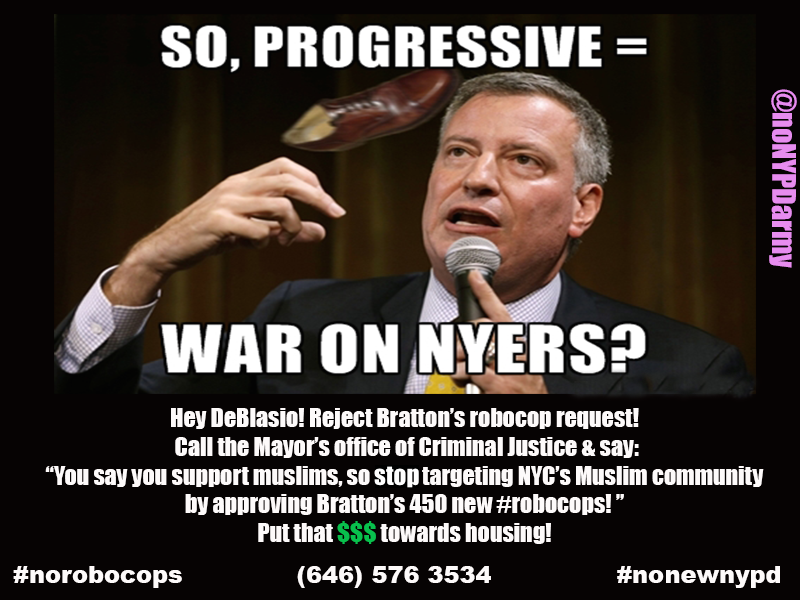 #noNewNYPD Day of Action inside City Council on March 12th 2015: watch video here. Photos by Cindy Trinh of Activists of New York, more here.